In case you missed it, here is A Series on Binge Eating, Part 1; and A Series on Binge Eating, Part 2. 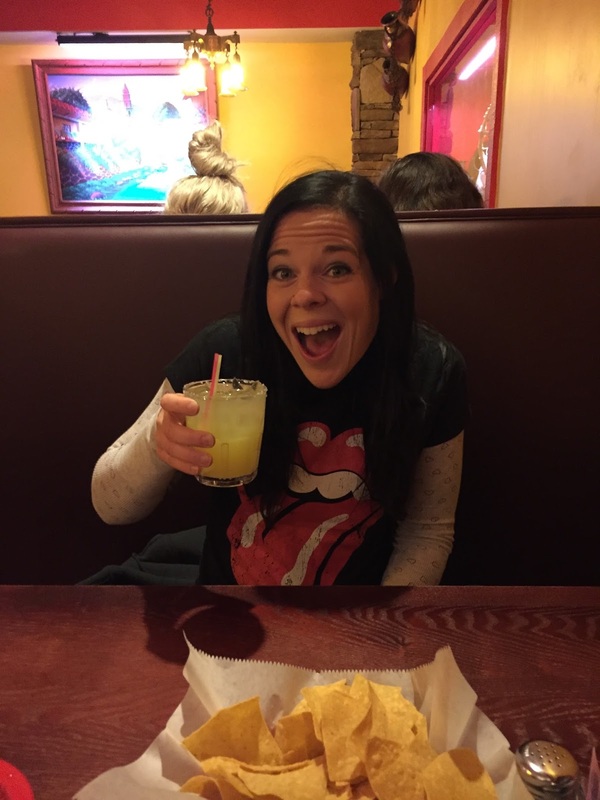 The first post describes exactly what binge eating is, and how it differs from overeating. The second post is about emotional eating, and how it relates to binge eating, as well as "triggers" for binge eating. In this third post, I'm going to get to the heart of preventing binge eating. As with all of my "tips" posts, I want to stress that what works for me may not work for you. I've discovered these things through trial and error. 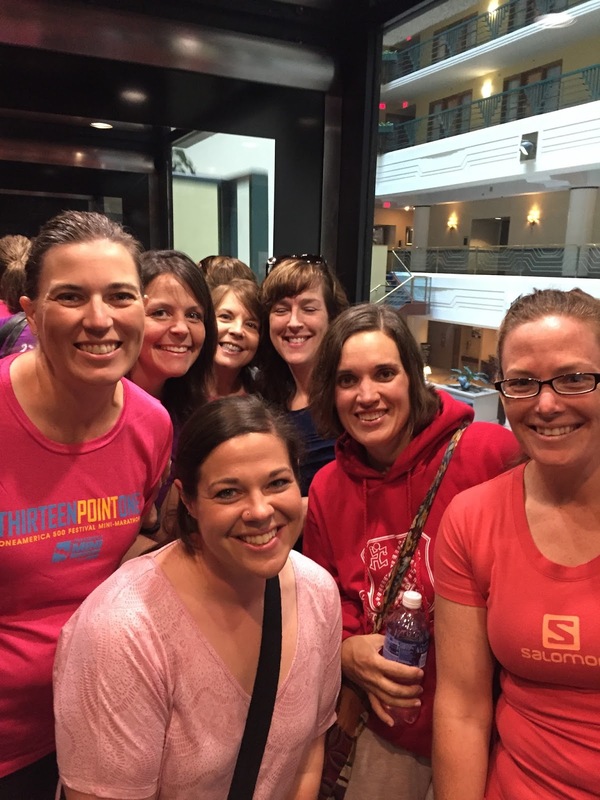 I've lost 125 pounds, and I've been very candid on my blog when sharing about my journey. You've seen as I've gained back a couple dozen pounds, and you've seen me lose them again. You've all read about plans I've made, goals I've set, different ways of eating that I've tried, and seen me change my mind about these things dozens of times. Some work, some don't, but I actually learn from them ALL. The way I do things is not the "right" way--I don't believe there is a right way for everybody. It's just the way that works for me. That said, hopefully this post will at least trigger some ideas for those of you that are trying to overcome binge eating right along with me! In this post, I'll share the two major things I've been doing that I believe have helped me to stay binge-free for 180 days and counting. Let me just back track to early 2015 first, though. Late 2014 and early 2015 were bad times for me. I didn't write too much about it on my blog, because it was so personal, but I was having severe issues with depression and anxiety. My anxiety was the worst it's ever been, and as I explained in the last post, anxiety is a big binge-trigger for me. I avoided the scale often, but I felt like I just blinked and my weight was at 160 pounds. I was in shock when I saw that, in about a year's time, I had somehow managed to become 27 pounds over my goal weight. Even though the number shocked me, I really shouldn't haven't been surprised. I knew why my weight was up, and if anything, I should have been surprised that it wasn't even higher. I had been binge eating more and more frequently, until I felt so out-of-control that I basically said to myself, "Screw it! This is the start of gaining back every last pound, and I'll just be another statistic that can't keep the weight off." My husband, Jerry, deserves so much credit for helping me through the rough time I was having. He was so patient with me, when I really didn't deserve it. I know I was difficult to live with. And the next couple of months were the worst--I was getting emotional all the time at the drop of a dime. In the fall, I managed to start a binge-free streak. That was 180 days ago. (This was also when I decided to start calorie counting). My anxiety is still at a higher level than normal, but the depression is under control now. Several readers have even said they can "hear" the difference in the way I write that I am happier. And it's true! I know there are going to be a lot of people who disagree with this, but here is the number one way that I have successfully stayed binge-free for 180 days and counting: I eat whatever I want. I count calories to maintain my weight loss, so I do keep control of my portions; but I literally eat ANYTHING that I want. I don't pay any attention to carbs, or protein, or fat (or what anonymous people on the internet tell me I should or should not be eating). If I am craving ice cream for lunch, I'll figure out how many calories I want to spend on it, and then I'll buy it and eat it. When I first started counting calories and eating whatever I wanted, I ate a LOT of junk food. I felt so much freedom! That phase lasted several weeks, and then once I got that out of my system, I started craving more "normal" meals. Now, I eat some junk and some healthy stuff, but most of it falls somewhere in between. But the key is, since nothing is forbidden, I don't feel the urge to binge when I'm having an "off" day. First, let me explain how the thought process worked on one of those "off" days: Let's say Jerry brought home doughnuts for breakfast (yum! ), and I ate one, counting the calories for it--no big deal. Later, a friend asks me to lunch, so I go out--and wind up eating a full day's worth of calories by 1:00 pm. In the past, I would have said, "Screw it, I've already done bad today, I'm just going to eat whatever I want and then start fresh tomorrow." From that point, I would binge on all of the things I'd been craving (but denying myself) until I was stuffed and felt sick. My day would likely have ended at a total of about 7,000 calories. It doesn't make any sense logically, and I think we all know that; but we still use that all-or-nothing mentality. Either we are 100% on track or we are binge eating. Calorie counting, and not having a target calorie limit, has helped me to find the in-between... and that has been life-changing. Side note: What I mean by not having a target calorie limit is that I don't try to squeeze my calories under any particular number. I just try to keep it "reasonable"--which, to me, is usually somewhere between 1200 and 1800 calories, depending on what I eat that day and how hungry I am. Average is usually 1500-1600, but I don't limit myself to that number. By setting a limit, I would feel like I am on Weight Watchers again, and if I should hit that limit, I would get the "Well, I've blown it. Might as well just keep eating" mentality. By not having a limit, I never actually "blow it" unless I binge. Now, since I'm eating whatever I want, I don't feel deprived of anything. If I eat a full day's worth of calories by 1:00 pm, I just try to come up with a lighter dinner and snack that I could have, and end my day at minimal damage--a little more than ideal, but still much less than a binge! Since I eat the things I crave all along, I don't feel that desperation to binge on them the first chance I get (like in the example above). This method of eating may not work for everybody, and we all need to do what works for US. This has just worked very well for me, so I thought I'd share the details. I will write more about those sorts of scenarios on the next part of this series. *A few people have asked how I keep from bingeing on junk food once its in my house. There are certain foods that I enjoy for my daily treat that don't trigger me; but, I have used my "Kitchen Safe" to lock up a few items that may be tempting. I'll leave one item out (whatever I plan to eat that day) and then lock the safe until the next day. Also, the "out of sight, out of mind" concept really does work--I have actually bought things like candy bars and have completely forgotten that I had them! They were just tucked somewhere out of sight. As far as foods that my family enjoys, but are triggers for me--I use the same sort of "rule". I'll use ice cream as an example again. Since everyone in my family loves ice cream, once in a while, I'll buy a container of it for ALL of us to have for dessert that day. That way, none of us is deprived of our favorite foods. My kids don't need to be eating ice cream every day, so I don't feel bad about not having it available 24/7. Luckily, I have a super supportive husband, and I know that's not the case for some people. If your spouse isn't really on board with your plan, and/or likes to keep an arsenal of your trigger foods in the house, I would suggest giving him or her a cupboard of his/her own. Again, out of sight, out of mind. Not a perfect scenario, but we have to do what we can in those situations. While eating whatever I want is actually a big principle I learned from "intuitive eating", this next one is the exact opposite. This has been a HUGE help in preventing binge eating, however. I didn't plan it that way when I started counting calories, but it just sort of worked itself out--I eat three meals and one "treat" per day--breakfast at 7:30 or 8:00, lunch at 11:00 or 12:00, dinner at 4:00, and treat at 8:00. Side note: To me, the difference between a "treat" and a "snack" is that a treat has no real nutritional value, where a snack is something nutritious to get you from one meal to another. Insanely delicious cookie recipe I found on Pinterest. The perfect amount of calories for my treat. I have found over the years that once I have eaten the majority of my calories for the day (after dinner), I'm not very hungry at all for the rest of the evening. It's almost like my body is telling me that I've had enough, and physically, I don't need anything else. That is the reason I eat dinner so early! If I try to hold off on eating dinner until 6:00 or 6:30, I would be fighting off a binge the entire afternoon. After dinner at 4:00, I feel very satisfied physically, and I get to look forward to my treat later. Because I eat on this schedule, there is no grabbing a little of this here, and a little of that there--which could turn into a binge under certain circumstances. This is one of the few situations where "all or nothing" mentality works for me. I simply choose not to have ANY snacks during the day. I prefer to spend my calories on my meals and a treat rather than snacks. I know this way of eating isn't desirable for everyone, but it's how I enjoy eating. I very rarely get hungry between meals, because I eat enough at each meal to get me through the next four hours or so; but if I do, I still choose not to snack. I actually want to be hungry when I eat a meal, because food tastes so much better when I'm hungry! There have been a couple of instances that I've had a snack before a meal, and it turned off my appetite for the meal completely. This happened most recently when my mom invited us over for Christmas dinner. I had already planned out my calories and was looking forward to eating dinner with the family. She had some appetizers out, and everyone was raving about a jalapeño dip--finally, I decided to try some. It was delicious, and I ended up eating about an ounce and a half of chips with the dip. By the time we sat down for dinner, I wasn't the slightest big hungry, and the food didn't even sound good anymore, so I just chose not to eat dinner. I was disappointed, because I had been looking forward to the meal; but there was no reason to stuff myself when the food wouldn't have tasted half as good as it would if I was hungry. Eating on a schedule without snacking is very cut and dry, which is something that works well for me. By not snacking, I also get to eat higher quality foods for my meals, because I don't have to skimp on calories--I've started using real butter, whole milk, even heavy cream in some pasta dishes, which is absolutely delicious. If I was snacking, I'd have to reduce the calories in my meals, which would mean using skim milk and avoiding anything at all with the word "cream". On the rare occasion that I eat a salad, I love that I can use full fat dressing and cheese (I happen to love caesar salad, which is fairly high in calories). When I cook recipes, I no longer try to swap out ingredients for lower calorie options, and the result is that the food tastes amazing and still fits into my plan. Once again, this method of eating may not be right someone who enjoys snacking or eating every couple of hours, but for me, it's very satisfying! This post ended up being much longer than I anticipated, and I haven't even started recapping other tips that have helped me in the past! I'm going to continue this on another post ("Part 3 continued"--I'll publish them both at the same time). There are so many different ways of doing things, and I encourage everyone to try out different things to see what works best. I'd love to hear the thoughts of anyone else who uses either of these methods of eating (eating whatever you want and/or eating on a schedule) and how it works out for you! Click here to go to A Series on Binge Eating, Part 3 continued. Thank you so much for sharing all of this, it has been a great inspiration. I also have a history with binge eating...funnily enough, it has been way more common since I lost 30 kg than before, when I consider I would just over eat. Are you able to not have a calorie goal in MFP and turn off the reminders such as "your goal is to stay under ---grams of sugar" etc.? Those get in my brain a bit when trying to just track calories. I know you can turn off the reminders--those drove me crazy! Every day after I logged breakfast I was over my sugar for the day, hahaha. I can't remember exactly how I did it, but if you explore around, there is definitely a way to turn them off (diary settings, maybe?). My calories are set at 1200 on MFP, but that way, I already know I am for sure going over my calorie allotment for the day. 1200 was just the number they gave me when I was trying to lose weight, so I ignore it and just look at how many calories I've eaten... not how many they say I have left. So it didn't bug you that you were over your 1200 limit from MFP?? I'm trying to decide if my OCD self can handle being over and under that number. I wish it would let us set a range....I like that mentality so much better. I just ignore the number they give me, and look at only how many calories I've eaten. 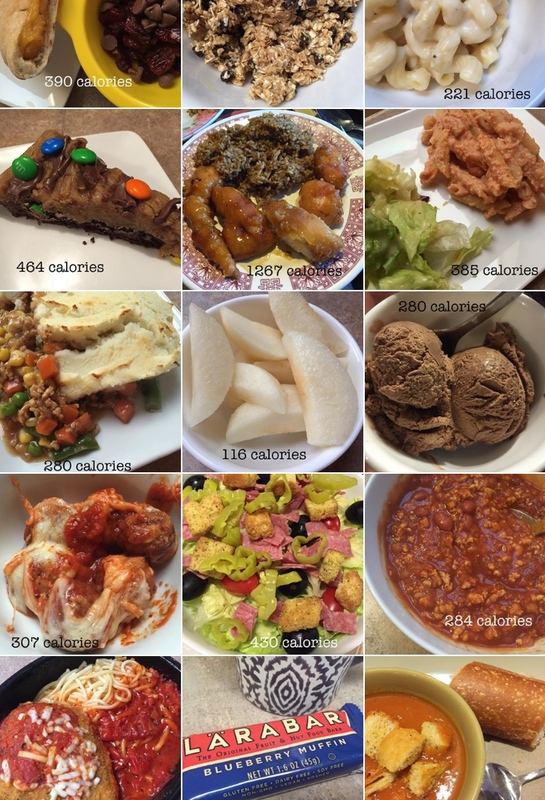 If I ate 1200 calories a day, I would starve! SparkPeople lets you set a range, so that may work out better for you? Your blog is so very inspiring and I read it multiple times a week. It is the only blog I have been consistently reading for several years. You are open and honest and give tips for those of us trying to get our binge eating under control. Thank you for sharing your struggles and joys. Oh, thank you for that, Katie. I have wanted to reply to your posts many times but never did. I actually think of you often, especially when I want to binge, and how you have this awesome binge-free streak going. keep up the awesome job!! That's fantastic...I can't help admiring how self-aware and intuitive you are and how "real" about your problems. I appreciate your candor so much and find it very inspiring. Don't feel badly; I was an idiot and stopped taking my meds for awhile, too, with disastrous results! I don't know why those of us with mental health issues do this...if we were diabetic we wouldn't DREAM of going off our insulin because we "suspected" it wasn't making a difference anymore! Ignore the lecturers! We all have to do what's right for us to make the healthiest choice possible at the time (and sometimes that's a small serving a junk food). Myself, I've found that what's right for me sometimes shifts...being strict might work very well for awhile, then it seems to actually hurt and being more relaxed keeps me from binging, etc. It's like the eating disorder morphs and shifts, so I have to keep an arsenal of different weapons on hand to ensure I have the right one for dealing with it at the time. I've recently come to the conclusion that I need to avoid snacking. I've been so inundated with messages from Weight Watchers, etc. to always have snacks available and not to get too hungry. So I stocked a drawer of healthy snacks at work and ate all the time. It's amazing how much better my meals are now that I don't eat all day long! And sometimes I do get hungry but I enjoy overcoming the waves of hunger and not giving in at the first rumble. I've also played the on and off antidepressant game. Nothing like crying nonstop for a couple days, ultimately needing anti-anxiety drugs to stop, to remind you how much you actually need to be on them! I've been doing Weight Watchers for about seven months now, initially with some pretty good results. But since October things have stood fairly still, about halfway to my goal. Then the Smart points were introduced and suddenly I really felt like I was in a crisis. I started reading your blog a couple years ago because just a cookie or a pudding snack was generally enough of a treat to make the plan manageable, and I get moderate exercise to balance it, but now any sweets kill my points. My toast with jam is out of the question, and all of a sudden I was bingeing on sweets more than I had in years. At work it was driving me crazy and I'd sneak out to go to the drive through or Starbucks for a pastry. All I could think about was getting something sweet, and I had no idea how I could live my life on maintenance. It really did feel like an emotional crisis. I think I'm going to try counting calories on my Fitbit app and see how it goes. I generally eat pretty healthy. It's just been the last month when all I could think of was sweets. Thanks for sharing. This really made sense to me. 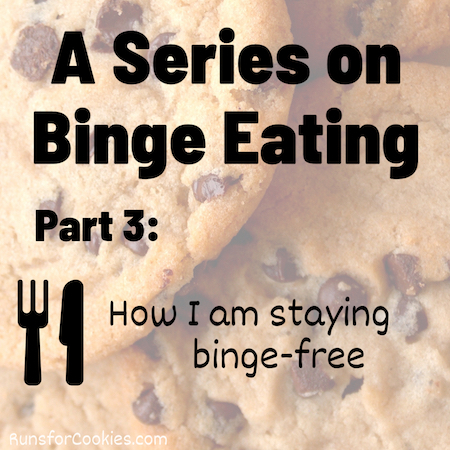 I am not a binge eater, and really have learned a lot about what that even means by reading this blog series. Thanks for sharing. I am with you on the weight loss journey, though, although I am still on the losing part of it. :) Over the past three years I have lost 74 pounds and have a little over 7 to go to get to my goal. But anyway, what I really wanted to say is that I have discovered over this past year that what works for me is almost identical to the style of eating you described in this post. I also eat whatever I want, make whatever kinds of meals I like, and count calories and use portion control to continue my weight loss. Like you, I have found that this really keeps me from just grabbing a handful of m and m's or whatever other thing I might feel like having. I just count out the number for a portion and log them. :) It really does work. Absolutely love your blog to pieces. I do the exact same things, it's too ironic, and they work amazingly well for me too. Great post!